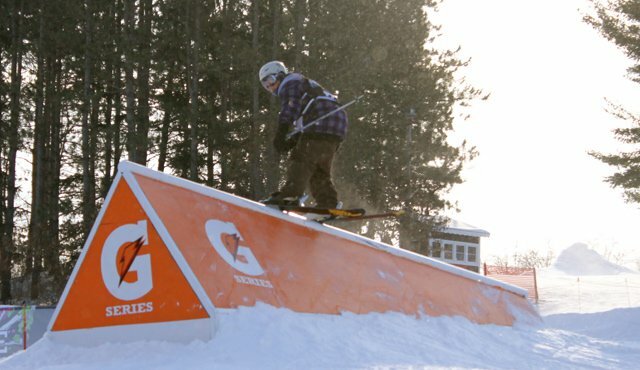 Halfway through with the season, the Gatorade Free Flow Tour completed its second weekend of events for the 2011 season the weekend before last. Events at Tyrol Basin Ski and Snowboard Area in Wisconsin and Okemo Mountain Resort in Vermont turned out top competitors and repeat finalists. 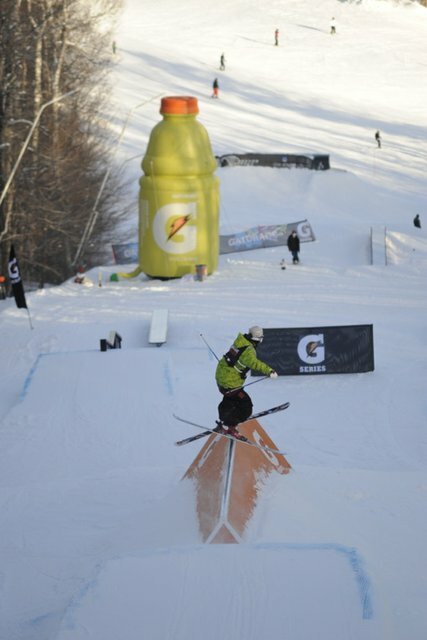 Freeskiers took on superpipe and slopestyle contests, and the winners will go on to the Gatorade Free Flow Tour Finals, taking place at Snowbasin Resort in Utah, February 10-13. At Tyrol Basin, Willie Borm took the slopestyle contest on Saturday while Sunday&rsquo;s superpipe contest went to Ty Willman; at Okemo, Tyler Duncan won in slopestyle and Daniel Rosenblum in superpipe. Fighting off the same frigid weather as the Midwest, the amateurs at Okemo took full advantage of the day. Earning a spot in the Finals was 16-year-old Rosenblum, who used his most impressive trick first, a big 900, to lock in his win, as well as high amplitude 540&rsquo;s going both directions, and an ally-oop flat 540 to top things off. He scored an 89.00, while second place finisher Colby Vavolotis scored an 86.00 and third place finalist Cody Buchalter earned an 80.00. 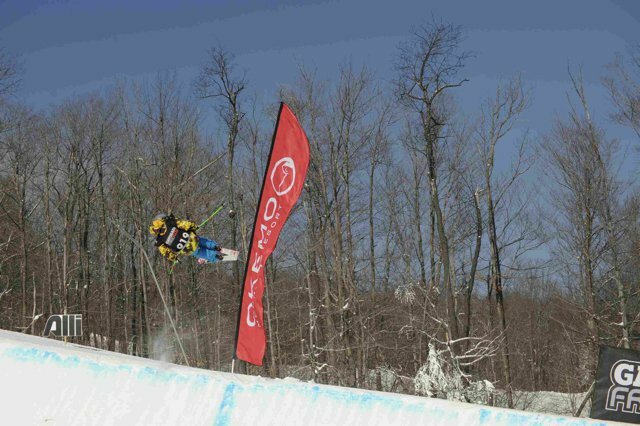 In a hungry field of over 40 competitors, the freeski slopestyle competition at Okemo saw 15-year-old Duncan top the field. He solidified his spot in the Finals with a score of&nbsp; 93.00. His impressive finals run included a switch 9 mute, critical shifty, and a switch on front side 630 out the of legacy feature. Taking second and third place were Alex Beaulieu and Will Hibbs, who earned a 90.25 and 89.75 respectively. 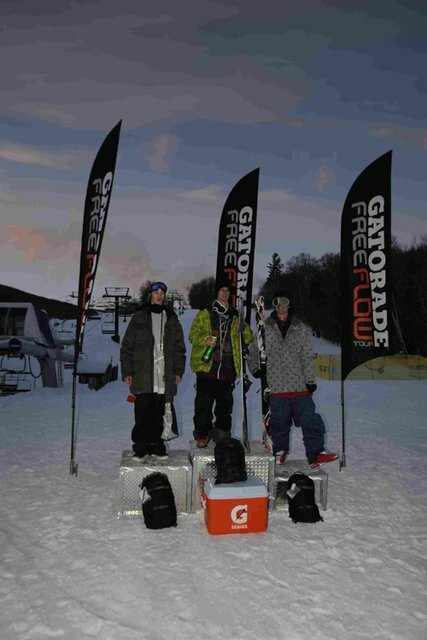 With their wins, all four earn an automatic bid into the Gatorade Free Flow Tour Finals that will take place at the Winter Dew Tour&rsquo;s Toyota Championship, February 10-13, 2011 at Snowbasin Resort in Utah. 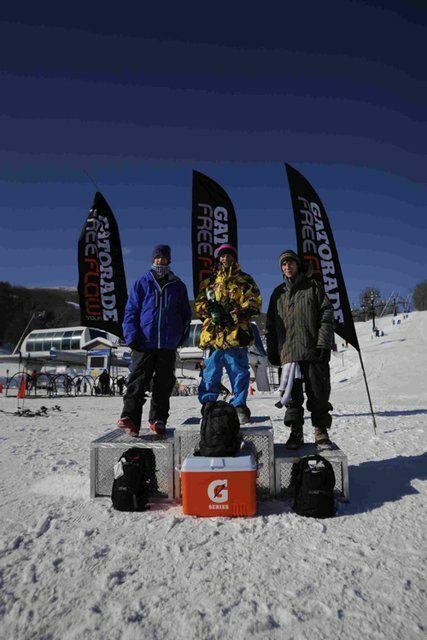 The winners in each of the 54 contests (30 slopestyle and 24 superpipe) will be flown to the Gatorade Free Flow Tour Finals, taking place in conjunction with the Winter Dew Tour&rsquo;s Toyota Championship, February 12-13 at Snowbasin Resort in Utah. Encompassing the &ldquo;Flow to Pro&rdquo; theme that is the cornerstone of the Gatorade Free Flow Tour, the two overall snowboard superpipe and slopestyle champions and the overall freeski superpipe and slopestyle champions will earn a spot to compete against the pros at the first stop of the 2011-12 Winter Dew Tour the following season.